If you want more mobile installs, you need to add app videos to your app listings. As we’ve found at TUNE, only 7% of top apps on the App Store have app videos. 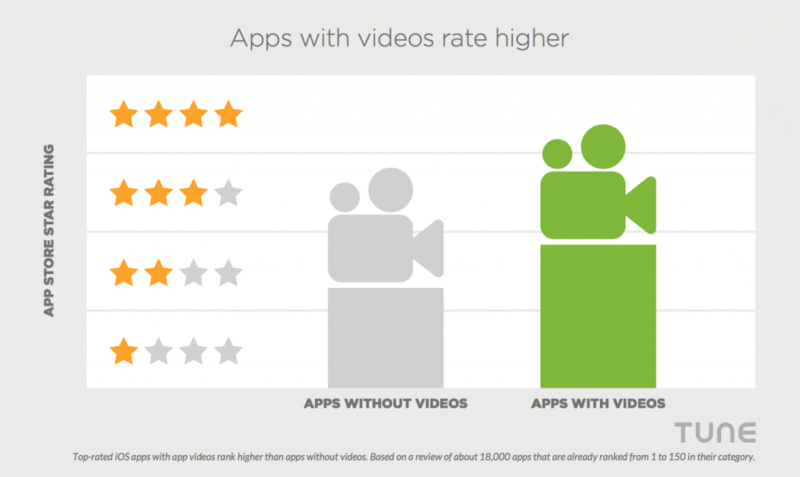 But the apps that do include videos get higher ratings. And smartphone owners that we’ve surveyed say that app videos are the third most important element of app listings. In other words, apps without videos are costing themselves higher ratings, better rankings, healthier conversion rates, and ultimately, more installs. 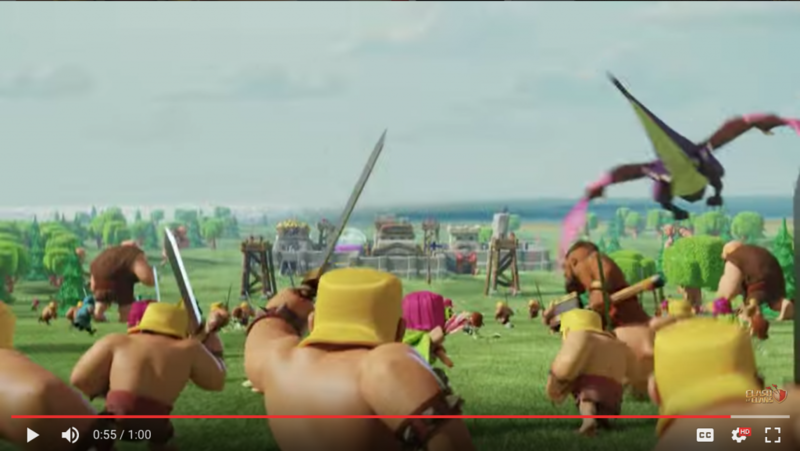 Supercell’s app video does a great job of showing the Clash of Clans app … and the social/emotional components of its gameplay. We studied the top 150 apps in each iOS App Store category to see exactly what different a video makes. 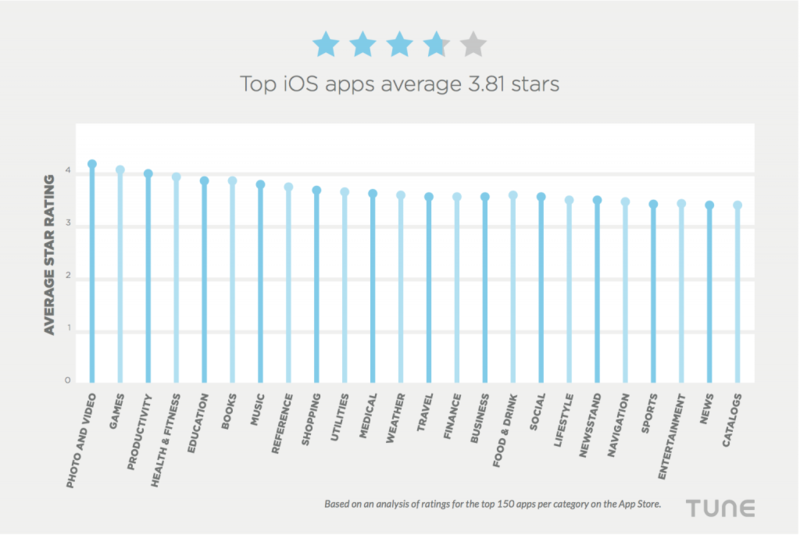 In spite of the fact that they are all top apps on the platform and therefore generally highly rated — 65% of all ratings on the App Store are 5-star ratings — there is a significant difference in ratings for those with a video and those without a video. The average rating for apps without a video is 3.81 stars, almost half a star lower than the average rating for apps with a video: 4.24 stars. 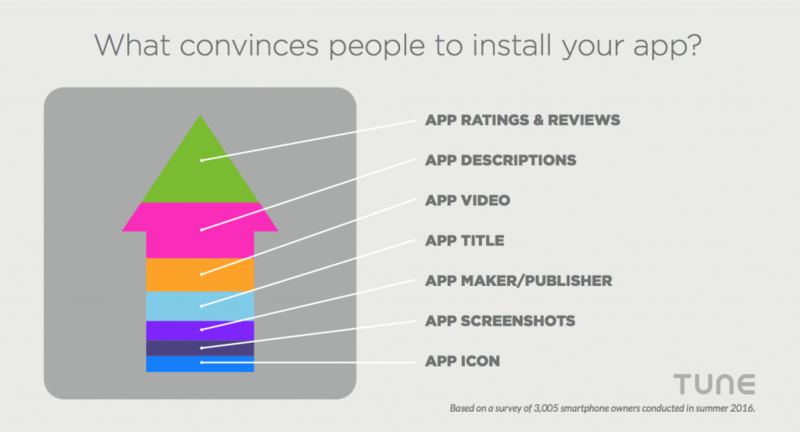 High ratings are social proof that your app is worth installing, and social proof translates into more downloads. Higher ratings also impact rankings — where your app sits in its category, and what position Apple or Google assign it in search results. And rankings are incredibly important for installs. 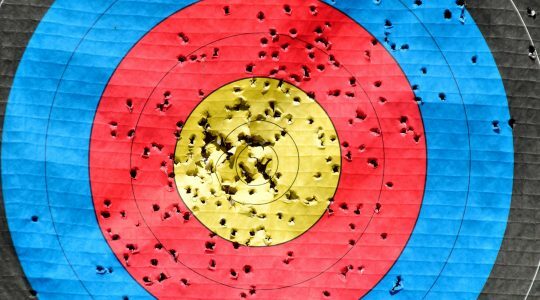 Moving from 150 to 15 is enormous in terms of download velocity — easily worth 10 to 100X in daily installs. So anything you can do to increase your odds of success at these already very competitive levels is extremely valuable. 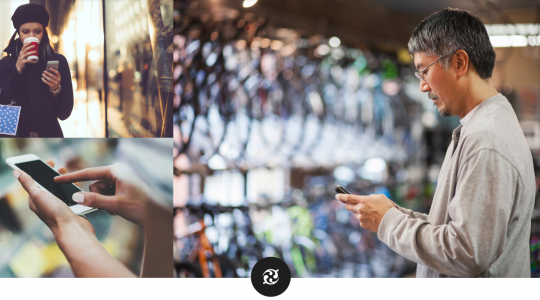 The key in deciphering what parts of your app listing are persuasive is understanding how people make download decisions. When presented with an app to install, users employ a kind of waterfall logic: if your app passes the first test, they apply the second, and so on. The first test is ratings. Why, after all, would anyone waste their time on a 1-star or 2-star app? People will only install these apps if they absolutely have no other options, not unlike previous generations of enterprise software. Even a 3-star or 3.5 star app is suspicious. 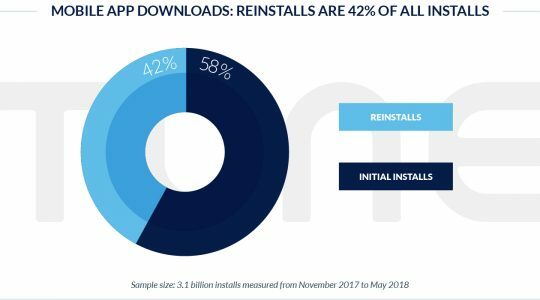 Top apps have tips and tricks to inflate their ratings, so app ratings are very high in general — 3.81 on iOS, and 4.16 on Android (more details here). High ratings are now table stakes. The simple result is that people don’t waste their time on apps with poor ratings … and that high ratings alone do not ensure an install. Once the ratings waterfall is successfully negotiated, app installs skim through the app description. Mobile marketers can both win and lose the install in the description. In cases where potential users are still interested but not entirely convinced, the video provides an essential test drive so they can see the app in use and judge more deeply whether it’s something that looks good/fun/useful/quality. Get more details and the full report, for free.